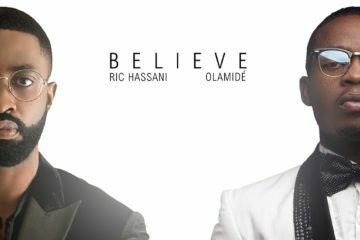 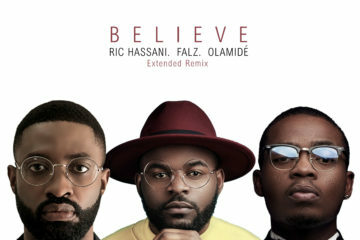 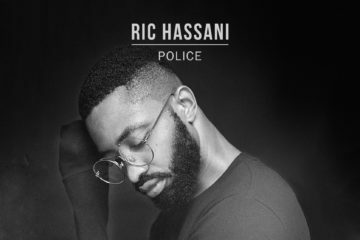 Nigerian soul singer, Ric Hassani has revealed possible hits that he has already written but according to him will never be released… Why?! 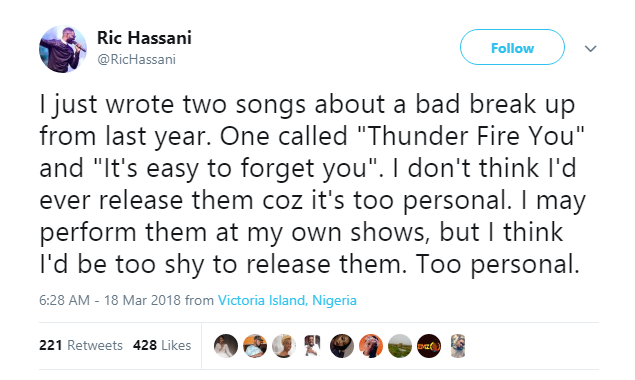 The singer tweeted yesterday, 18th of March, that both songs have taken him a day to write but he cant release them because of how personal they are. 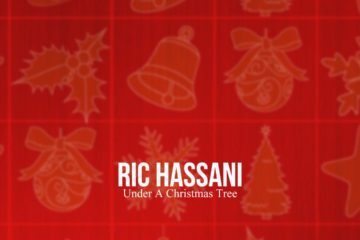 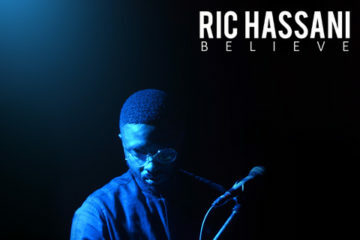 Ric Hassani is a singer whose songs in most cases than not hits the very core of your very being with issues and lyrics that relates to the existence of man… and mostly love. 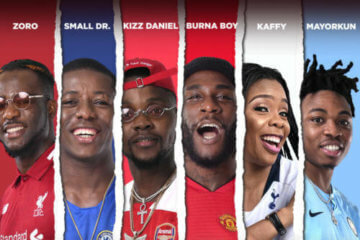 Considering how personal these ones have been revealed to be, we can’t help but tell him to please release the songs already, we want nothing but real songs straight from the heart. 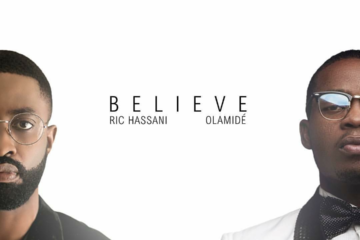 But then again, we wouldn’t want to rush you into it, so take your time and heal but in the end… Release the hits!